Discovery India Indian Premium Tv Channel is releasing new shows in the Month of November,2015 . 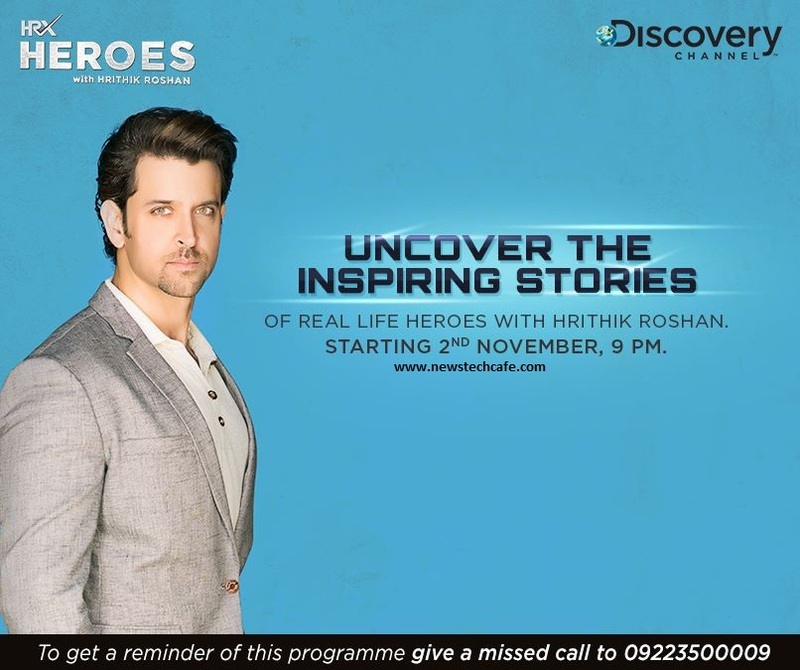 'HRX Heroes' with Hrithik Roshan is an Upcoming Tv show which is going to be start on 2 November.. The series will present real-life stories of men and women from across India, who did not give up on their dreams and emerged as heroes. The channel will kick start the series by featuring wrestler Sangram Singh, who was diagnosed with rheumatoid arthritis at a very young age. After fighting for several years, trying to overcome his illness, Singh became Commonwealth Heavyweight champion in 2015. ‘Heroes’ is real stories of people who overcome what they felt was their difficulty and obstacle. So it is about individual stories,” he said at the launch.